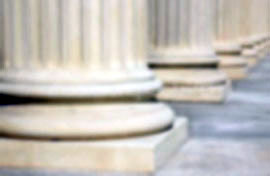 Appellants challenge the district court's determination that as a matter of law, respondent is not liable under the Minnesota Dram Shop Act for injuries sustained by a person who was assaulted after respondent served him alcohol. Because the chain of causation that led to the victim's injuries was severed by an independent actor, the victim's intoxication as a matter of law was not a proximate cause of his injuries, and we affirm. Relator, a military veteran, worked as a licensed emergency medical technician for an ambulance service operated by respondent. Relator challenges the commissioner's determination that relator was not terminated, constructively or otherwise, by the ambulance service. Because we conclude that the record supports the commissioner's factual findings and the commissioner correctly applied the law to the findings, we affirm. Appellant school district challenges the district court's summary judgment in favor of retired-teacher respondents (retirees), concluding that they had a vested right to healthcare benefits provided in the collective-bargaining agreements (CBAs) in effect when they retired; and dismissing on the pleadings appellant's third-party claim against respondent union, which negotiated the CBAs. Because the district court did not err (1) by applying Housing and Redevelopment Authority of Chisholm v. Norman, 696 N.W.2d 329 (Minn. 2005) to determine that benefits vested under the terms of the CBAs, and (2) by determining that respondents were not required to arbitrate their claim, we affirm summary judgment in favor of retirees. We also affirm the district court's dismissal of the union as a third-party defendant. On certiorari appeal from a decision by the unemployment-law judge (ULJ) that she was disqualified from receiving unemployment benefits because she had been discharged for employment misconduct, relator argues that the ULJ erred (1) in crediting testimony of the employer's witnesses because they were lying; and (2) by denying her request to reopen the record. Because the ULJ's decision is supported by the record, we affirm. Relator challenges the decision of an unemployment law judge (ULJ) that he is disqualified from receiving unemployment benefits because he was discharged for misconduct. Because the record does not demonstrate that relator's single incident of misconduct had an adverse impact on his employer, we reverse. On appeal from the district court's reduction of appellant-wife's spousal maintenance award, appellant argues that the district court (1) improperly based the reduction of maintenance on respondent-husband's possible future reduction in income; and (2) failed to make adequate findings addressing the factors set forth in Minn. Stat. � 518.552 (2006). Because respondent's motion was premature in light of the lack of evidence showing a substantial change in circumstances rendering the existing spousal maintenance obligation unreasonable and unfair, we reverse. Relator challenges the decision by the unemployment-law judge (ULJ) that he was ineligible to receive unemployment benefits because he received payment on his separation from employment. Because the ULJ did not err in determining that the payment relator received affected his eligibility for unemployment benefits, we affirm. Relator challenges the decision of the unemployment law judge that she is disqualified from receiving unemployment benefits because she was discharged from her employment because of employment misconduct. Relator asserts that the true reason for her discharge was unlawful retaliation and that she did not receive a fair hearing on the denial of unemployment benefits. Our review establishes that the unemployment law judge did not adequately develop the record regarding the employer's motivation for discharge. We, therefore, reverse the unemployment law judge's decision and remand this matter for further proceedings. On appeal from an order reducing the amount of a judgment against respondent, appellant argues that the district court erred in finding that the judgment was partially satisfied up to the market value of two vehicles that appellant, the sole bidder, purchased at a sheriff's sale for less than fair market value. We agree and reverse. Appellants challenge the district court's refusal to enter a declaratory judgment releasing them from a mortgage held by respondent. We reverse. Appellant challenges the district court's denial of his motion to restrict respondent's parenting time. Because the district court acted within its discretion, we affirm. 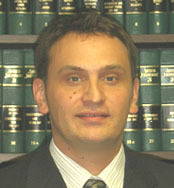 On certiorari appeal from the decision by the unemployment-law judge (ULJ) that relator was disqualified from receiving unemployment benefits because he was discharged for employment misconduct, relator argues that the ULJ erred in denying him benefits because his conduct at a staff meeting did not constitute employment misconduct. Relator also argues that the ULJ erred in denying his request to reopen the record. We affirm. Appellant, a commercial landlord who brought an eviction action against a commercial tenant for breaching the terms of a lease agreement, challenges following a jury verdict finding that the tenant did not breach the lease. Landlord-appellant contends that the district court erred by (1) denying appellant's pretrial motion for summary judgment and submitting the case to the jury based on its determination that the lease's exclusivity provision was ambiguous; and (2) denying appellant's posttrial motions for judgment as a matter of law or a new trial following the jury verdict in favor of tenant-respondent. We affirm. Appellant challenges the district court's judgment (1) granting sole physical custody to respondent; (2) changing the child's name back to A.E.M.L. ; (3) not specifically allocating the tax exemption to either party; and (4) excluding one page of respondent's medical records at the trial as inadmissible hearsay. Because the district court did not abuse its discretion in its decisions regarding custody, the name change, and its evidentiary decision concerning the medical records, we affirm. However, on the issue of the tax-dependency exemption, we remand for further factual findings. Ruth Ann Strand and Roger Allen Strand were married in 1972 and divorced in 2006. The district court's final judgment of dissolution valued and divided their property, provided for payment of child support and spousal maintenance from Roger Strand to Ruth Strand, and awarded attorney fees to Ruth Strand. In this appeal, Ruth Strand challenges 14 aspects of the district court's judgment. We conclude that the district court did not err with respect to the issues raised except for the finding concerning Roger Strand's net monthly income, which is discussed below in part III.A. Thus, we affirm in part, reverse in part, and remand for reconsideration of Roger Strand's income and, if appropriate, the amount of Roger Strand's spousal maintenance obligation. Mohamed Hassan Ali quit his position as a long-term temporary employee of Volt Management Corporation after being informed that he would not be hired on a "permanent," i.e., non-temporary, basis. An unemployment law judge (ULJ) found that Ali was disqualified from receiving unemployment benefits. Ali argues that he quit his job for a good reason caused by the employer and that the ULJ did not conduct a fair hearing. We affirm. Appellant Minnesota-based International Parts Supply Corporation challenges the district court's order granting the motion of respondent New York-based B & B Devices, Inc. to dismiss the complaint on the grounds that respondent is not subject to the personal jurisdiction of the court. Because we agree that respondent lacks the requisite minimum contacts with Minnesota, we affirm. On appeal from summary judgment, appellants challenge the district court's determination that the excavation and sale of a large amount of "common borrow material" from mortgaged property during the redemption period was not waste, but rather was a legitimate exploitation of rents and profits from the land by the mortgagor. Appellants argue that, by excavating and purchasing the borrow, respondents committed trespass and conversion, and that the district court erred in denying appellants' motion for partial summary judgment on their conversion claim. Because there are no issues of material fact and the district court did not err in its application of the law, we affirm. Relator challenges the decision by the unemployment-law judge that she was disqualified from receiving unemployment benefits because she quit work without good reason caused by the employer. We affirm. In this certiorari appeal, relator challenges the decision of the unemployment law judge (ULJ) that he was disqualified from receiving unemployment benefits because he quit without good reason caused by the employer following a disagreement about his break time. Relator argues that he had good reason to quit because he was not provided with adequate opportunity to take his rest or meal periods. Because relator quit without good reason caused by his employer, we affirm. On appeal in this spousal-maintenance dispute, appellant argues that the district court abused its discretion by (1) not awarding her permanent maintenance when her ability to support herself is uncertain, (2) awarding her an insufficient amount of maintenance, (3) not ordering respondent to pay her medical-insurance costs, and (4) not ordering respondent to secure the maintenance award with life insurance. We affirm. Relator challenges the decision by the unemployment-law judge that she was discharged for misconduct and disqualified from receiving unemployment benefits after she harassed a coworker, arguing that she merely followed the direction of her supervisor in attempting to retrieve a ring. We affirm. Appellant Matthew J. Stiehm challenges a district court order granting summary judgment in favor of respondent City of Dundas and dismissing his claims with prejudice. Because there are no genuine issues of material fact and because the district court did not err in its application of the law, we affirm. Appellant challenges the district court's ruling that an ordinance enacted by respondent, restricting appellant's ability to carry passengers on his golf cart, does not violate anti-discrimination laws and is not preempted by state traffic regulations. Because we conclude that the ordinance does not discriminate against appellant on the basis of his disability, we affirm the district court as to appellant's discrimination claims. But because we hold that the ordinance is preempted by state law, we reverse the district court's decision as to that claim and remand. Appellant challenges a district court conclusion that a conciliation court judgment against him was unaffected by a jury verdict in his favor because he had not perfected removal of the conciliation court matter to district court. Because the district court's findings about appellant's removal from conciliation court are inconsistent, the district court's conclusion is not supported by the findings, and we therefore reverse in part and remand. Appellant-wife challenges a dissolution judgment, the terms of which were reached through alternative dispute resolution before a consensual special magistrate and subsequently adopted by the district court. Wife argues that the judgment is invalid because (1) the stipulation was not an enforceable agreement, and (2) the district court violated her due-process rights by entering the judgment without a hearing. Respondent-husband argues that wife's appeal, which is from the district court's denial of her motion to vacate the judgment, is improper because the district court lacked subject-matter jurisdiction to hear that motion. We affirm. This protracted litigation grew out of Bruce and Linda Bucknell's 2002 application for a conditional-use permit for a proposed subdivision project on land that the Bucknells own in Sumner Township in Fillmore County. The district court granted the Bucknells summary judgment on their claims against the county under Minn. Stat. � 15.99 (2006), and the county has not appealed that determination. The district court denied the Bucknells' and the township's cross-motions for summary judgment based on its conclusion that the Bucknells' attempts to amend their claims against the township operated as a dismissal and the township is, therefore, no longer a party to the action. The township appealed the district court determination, and the Bucknells filed a notice of review. Because the Bucknells' claims against the township were neither voluntarily nor involuntarily dismissed, we reverse and remand. In this appeal from the district court's denial of his motion for modification of his permanent spousal-maintenance obligation, appellant-husband argues that the district court abused its discretion by (1) denying his motion to reduce or terminate his spousal-maintenance obligation; (2) denying his motion to compel respondent-wife to undergo a vocational evaluation; and (3) awarding wife need-based attorney fees. Wife seeks attorney fees and costs on appeal. We affirm in part and remand in part. We also remand wife's motion for appellate attorney fees. M. E., J. B. and T. V., Parents. In this consolidated appeal, M.E. (mother) and J.B. (father) challenge the order terminating her parental rights to K.E., nine, I.B., seven, and Ja.B., four, and his parental rights to I.B. and Ja.B.1 Because the district court's order is supported by clear and convincing evidence, we affirm.